Commuters brought grocery bags filled with non-perishable foods as part of the Greater Chicago Food Depository's "One City, One Food Drive". CHICAGO (WLS) -- If you traveled through Union Station Thursday, you may have noticed some commuters carrying bags of groceries. They were donating food to help the hungry this Thanksgiving. 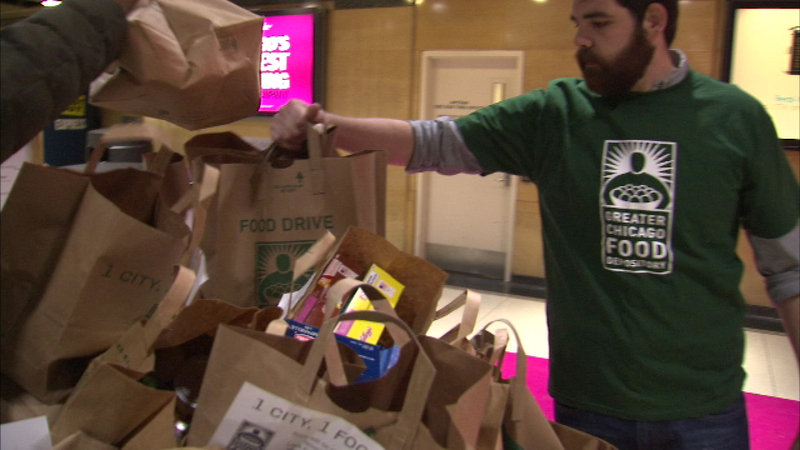 The Greater Chicago Food Depository handed out empty bags to commuters on Wednesday. Volunteers asked them to return those bags filled with non-perishable foods as part of the "One City, One Food Drive."